Basically, it's where you read a book that begins with each letter of the alphabet from A-Z. Yes, I realise books starting with X Y or Z will be near to impossible to find but try your best! And if you do manage to hit 26 books, you're just awesome! You should join definitely join this challenge. It's fun and a great way to discover new authors and books. 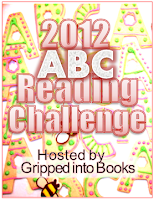 The challenge will run until January 2013. Here are some buttons I made! Make sure you save them on your computer first before posting it on your blog. Prize packs are to be won each month. All participants are instantly entered for a chance to win! 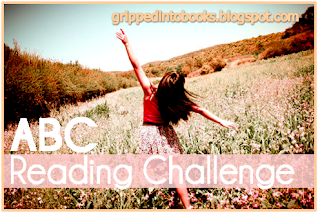 You need to be a book blogger or have a GoodReads account. Any book fictional book released in 2012 will count towards the challenge. MG, Young Adult or Adult. Make a blog post/Goodreads list on the books you plan on reading and then link back here. This is my first challenge I've signed up for for 2012. So excited for this one! If anyone is having trouble look for a book to fill for Q, try The Queen Bee of Bridgeton by Leslie DuBois. Still haven't decided if I want to do this challenge or not. I probably will. I can never say no to a challenge. This will be a challenge, I doubt I will be all that successful but it is worth a try! 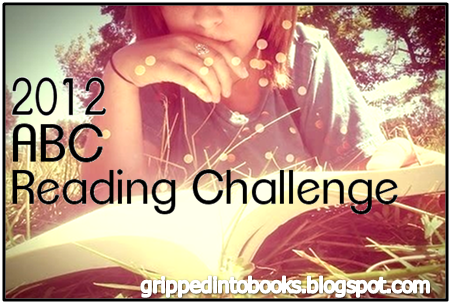 I am new to the reading challenge world but I love the concept and am going to give a bunch a try. I can't wait! This makes my fifth challenge! OMG been looking for ages for a challenge like this, the majority seem to lack the fun quality of this challenge! This sounds like fun! One question - Do we count "The" as "T" or as the following word(ex: is The Iron King "t" or "i")? Yep. You count the titles beginning with 'The' under the following words first letter. sorry but i can't seem to find the link anywhere on this post. I really want to participate. You just link your own post to the Mister Linky. I'm such a slacker! I meant to join last month, but I forgot. Better late than never, though! I wish I would have realized this was already going on... just joined up! Looking forward to seeing all the books I get read this year! Sounds like an awesome challenge! Only books released in 2012 qualifies, am I right? Could my first entry possibly be removed, I used the wrong link on the top entry of Nicole @ Epic Book Adventures, sorry! I can do it! This is a gr8 challenge and I ADORE the buttons! Where do we do linkups for our reviews? I'm going to do a review link up post this month, so look out for it! I love this idea! I'm going to add as I read. I'm going to be doing something like this in 2013 :) Thanks for the idea. I've already got most of my list complete...except for about 6 letters that I have to go find books for :) Happy reading! Top 10 Books I'm Looking Forward to in 2012!